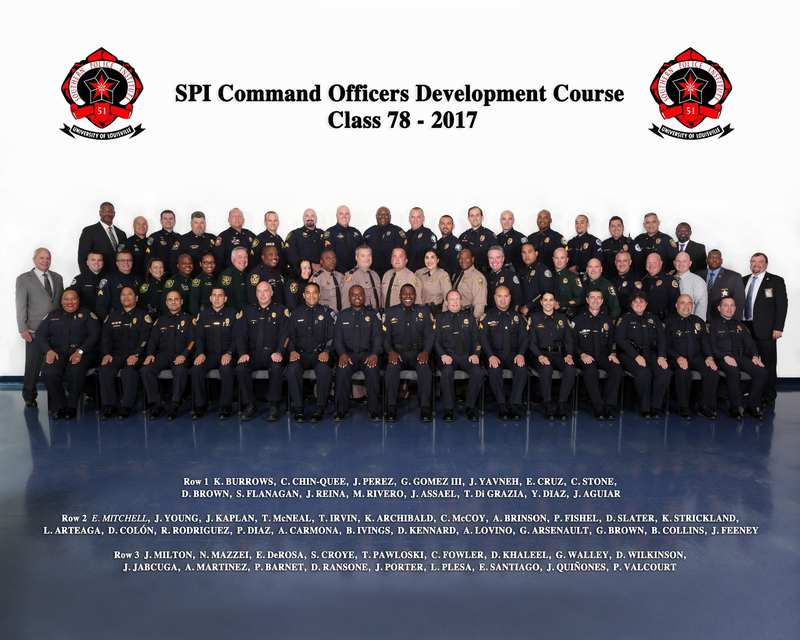 Congratulations to the graduates of the 78th Command Officer's Development Course, who graduated July 21, 2017, in Fort Lauderdale, Florida! The 78th Class of the Command Officer's Development Course consists of 56 students representing 29 agencies, all from the state of Florida. Lt. James Feeney, Dept. of Investigative & Forensic Ser. Lt. James Milton, Dept. of Investigative & Forensic Ser.